There’s nothing quite like a hot TT week to attract lots of exotic visitors from far flung places. Those of us who watch for basking sharks expect the first basking shark school to arrive in our South Western coastal seas in late May, normally about the 20th to the 24th of May so we were getting worried…..then they arrived, just a little late, on 1st June! We have a school of at least 7 large individuals, maybe many more, it’s always hard to tell as, being fish that breath with gills, they don’t have to come to the surface like whales and dolphins. They have been reported feeding at the surface off Niarbyl, Bradda Head, Port Erin Bay, Bay Fine (between Port Erin and the Sound), at the Sound and off Port St Mary. 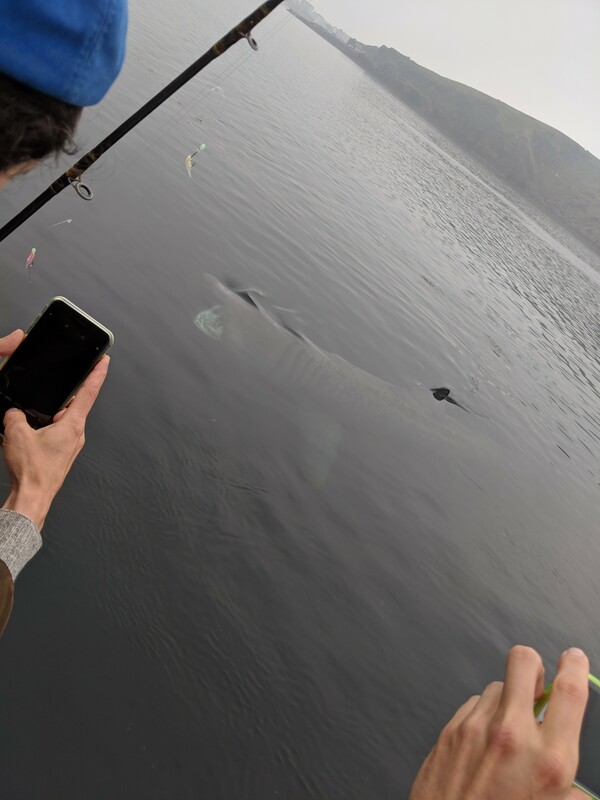 Some truly brilliant photographs and videos have been posted on the Manx Basking Shark Watch Facebook page and elsewhere. The photo, by Falk Horning, was taken on Bob Taylor’s boat ‘Gemini, operating out of Port St Mary. 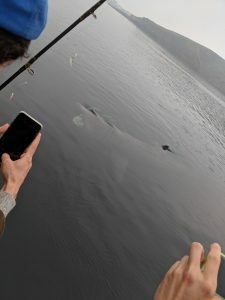 Have a look at Facebook – https://www.facebook.com/ManxBaskingSharkWatch.